Our Gourmet Popcorn is Non-GMO and Gluten Free! Some of the most common questions we get are about our different types of popcorn. What makes one kernel different from another? Each style produces a unique texture and shape — that’s how each type gets their name. 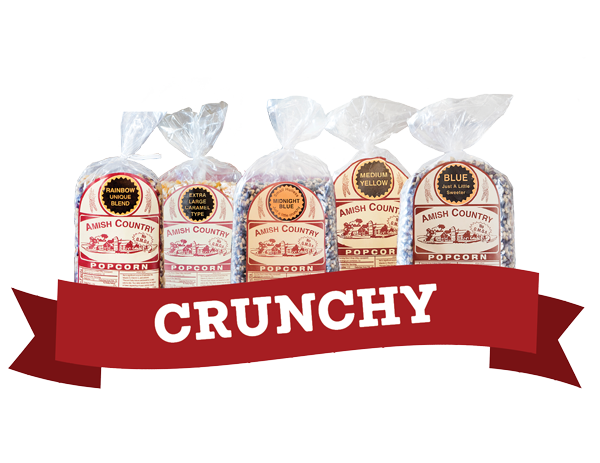 Some varieties are fluffy, others are crunchy, some are small, and some are hull-less. Choose your favorite type, below, and begin shopping! Learn what makes each type of popcorn unique and find the snack your family will love. 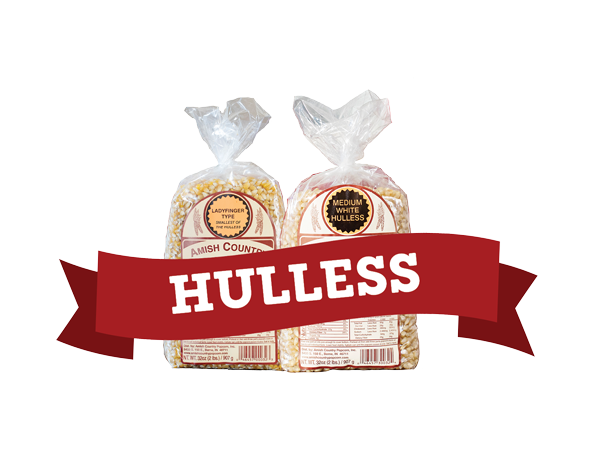 A small hulless popcorn that is a little crunchy, yet very tasty! Here is Purple popcorn for you to enjoy. It is a very good and tender popped kernel, a great "eating corn"! Purple is higher in antioxidants than the rest of our popcorn. It is one of our favorites. This variety may be limited in supply. 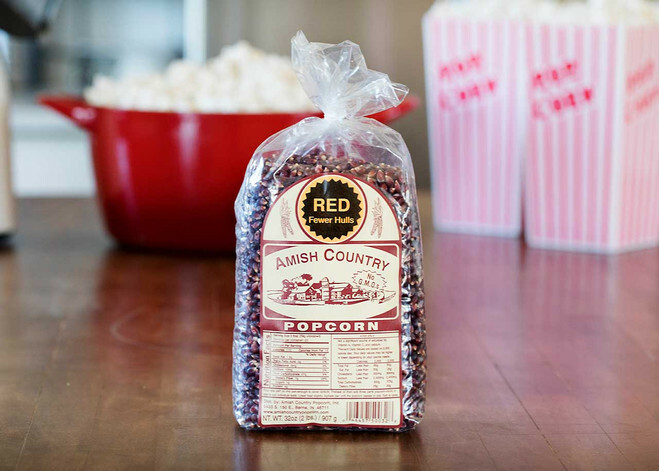 This popcorn is an Amish Country favorite. Here you have the finest white popcorn available. If Baby White popcorn is unavailable, this is the next best thing. This hybrid is very similar to Medium White popcorn, but it has its own distinct characteristics. Red popcorn does not have many flaky hulls. This popcorn pops up fluffy and meaty white every time. It is a favorite of many. This hybrid popcorn pops medium to large kernels into fresh popcorn. It has its own flavor, typically a little sweeter and not a lot of hulls. Recently, it has become a favorite popcorn flavor among our popcorn fanatics. This is a fun type of popcorn for people who can't make up their minds. 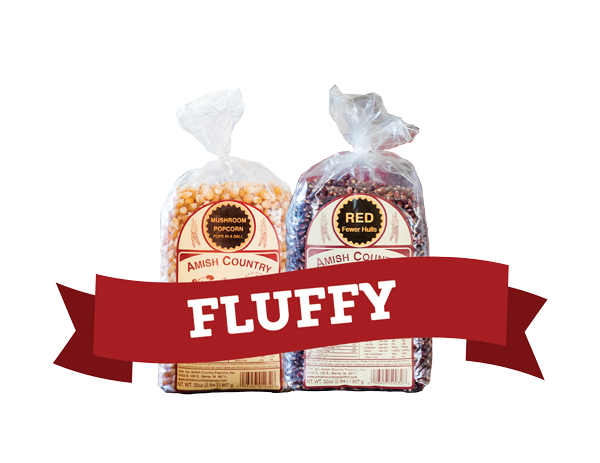 It's a unique blend of several of our popcorn varieties, great for eating or decorating your counter tops. If you like large, fluffy popcorn, you will love this hybrid. It is great for enjoying plain, buttered, or for making caramel corn. Our yellow popcorn has less flaky hulls than most large yellow popcorns. If you like the flavor of yellow popcorn, but don't like the coarse, tough kernels that often have many flaky hulls, you will love this small, tender variety! 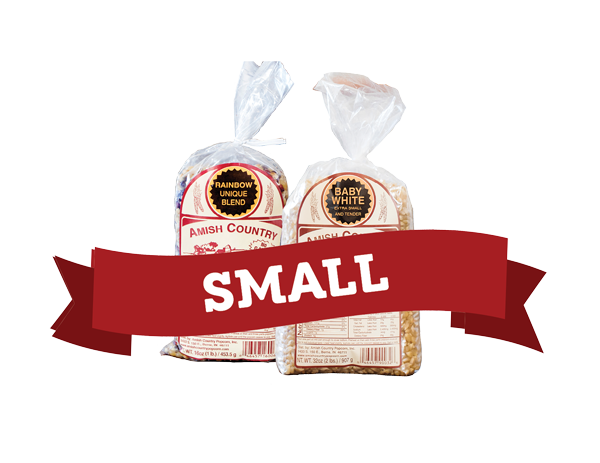 We've separated the smaller kernels from the larger kernels to create the tenderest popcorn on the market. This old open-pollinated variety of popcorn is similar to a variety called Tom Thumb. It is one of the first varieties that Brian grew as a small boy! 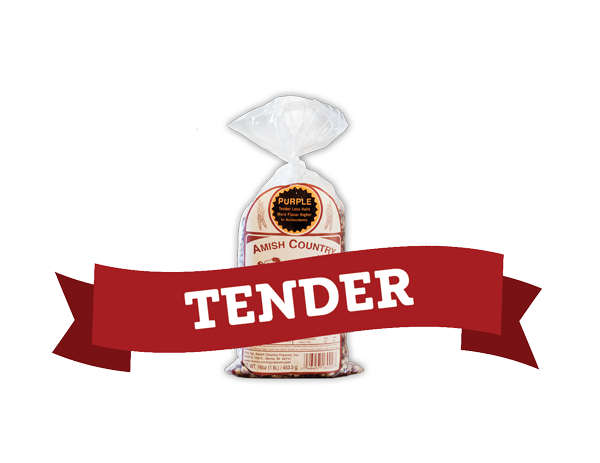 If you like small, hulless, and tender popcorn, you definitely will want to try this type! If you like small, hulless, and tender popcorn, you definitely want to try this popcorn! It is very similar to our regular Lady Finger popcorn, only with more color. This eats very similar to black popcorn. This small white is one of our smallest and most tender popcorn. It resembles an old variety that Brian planted as a teenager called Japanese hulless. It comes from separating the smaller kernels from our Medium White. Can be limited in supply! Pops in a ball! This is similar to the popcorn you buy at Christmas time in tins.